his is a book about Jewish prayers; prayers used by Jews in the privacy of their homes and in the public worship of the synagogue; prayers which have been in use from before the time ofJesus; prayers which could enrich the life of Christians as they have enriched the lives of innumerable Jews down the ages. It is also a book of prayers, which may be left to make their own impact and perhaps become part of the life of Christians who have lived in ignorance ofJewish worship. 'A highly competent, helpful manual, providing many new examples of the beauty of holiness for those in search of this elusive but most significant category' (Rabbi Louis Jacobs). 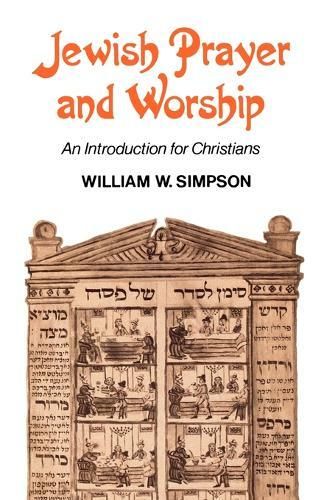 'If there is anybody who needs convincing today that the old distinction between the God of wrath and exact requital, whom Jews were supposed to worship, and the God of love and forgiveness ofChristianity, has disappeared, then this brief anthology and its introduction should be placed in their hands as soon as possible' (James Parkes). Long out of print, and never superseded, the book is now issued as a paperback for the first time.